Was it just a bump on the head, or something more? With high school and college sports teams getting ready to hit the fields soon, that’s a question many players, parents, and coaches will soon be asking. 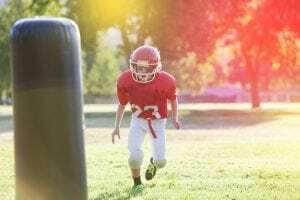 According to the University of Pittsburgh’s Brain Trauma Research Center, more than 300,000 sports-related concussions occur every year in the United States. Many of these brain injuries happen during contact sports—like football, hockey, and boxing—with more than 62,000 concussions sustained each year among high school players. Many concussions go undiagnosed. Athletes under the age of 18 who return to competition too soon are at increased risk for Second Impact Syndrome, a condition that results in a catastrophic increase in intracranial pressure, brain swelling, and sometimes death. All athletes should be properly evaluated after concussion, as the injury could cause potentially serious long-term implications if not properly managed. To hear an interview with Dr. Vincent Somaio click HERE. For more information on the Sports Concussion Management Program at Sunnyview Rehabilitation Hospital, head to http://www.sphp.com/sports-concussion-program.svh.